If you like physic game, do not miss Brain On Physics Boxs Puzzles. The game is also known as Brain Physics, it’s a physics-based puzzle game developed by JDI Game Studio. 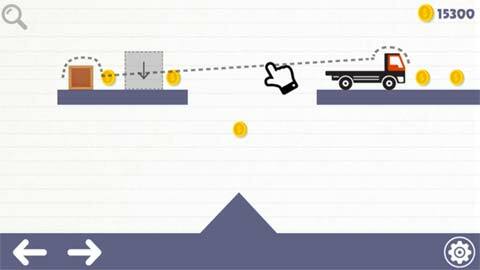 In the game you have a car, crayon, and brains, your objective is to draw your decisions and use them to perform the physics task. Any design that you draw will become physical objects that can interact to physical objects in the game. Brain Physics is a fun way of practising physics. The game features 120 easy to hard levels. Just draw your decision as well as you do it crayon. If you get stuck in the game, check out the video walkthrough for the game and try to beat all the levels. This entry was posted in Android Games, iOS Games, Mobile Games, Walkthrough and tagged Brain on Physics Boxs Puzzles, Brain on Physics Boxs Puzzles Map 1, Brain on Physics Boxs Puzzles Walkthrough, Brain Physics, Brain Physics Answers, Brain Physics Cheats, Brain Physics Guide, Brain Physics Help, Brain Physics Hints, Brain Physics Map 1, Brain Physics Solutions, Brain Physics Walkthrough by Marvin. Bookmark the permalink.